Is Phelps Grove Park in Springfield, Missouri haunted? 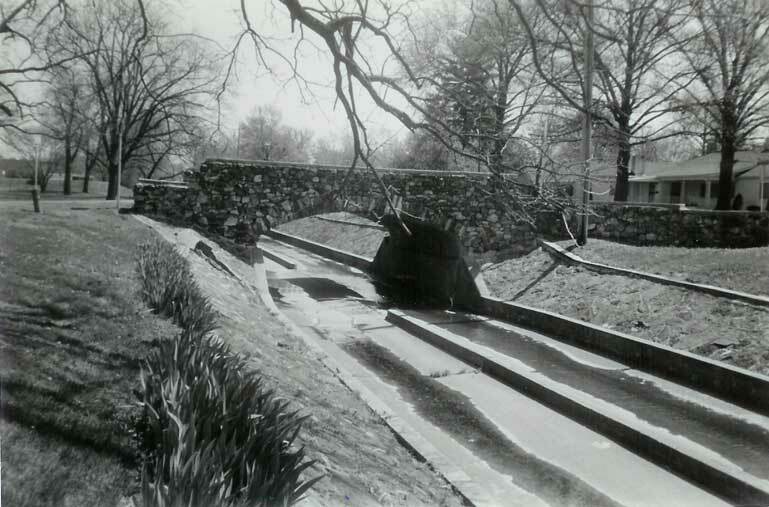 Phelps Grove park has a long and very interesting history. Besides being the homestead of Governor John S. Phelps, it was also a Tribal Village for the Osage and Kickapoo Indians. On East Bennett Street, the Park encompasses some 44 acres that provide entertainment and beauty to area residents. Though the park is quite old, the spirit is relatively new, evidently killed in an automobile accident. It was the day of her wedding and as her and her new groom drove through the park, the automobile went out of control and they were both killed. The "Bride under the Bridge" has often been spied near the third bridge in the park in the evening. The forlorn bride is usually seen standing, holding up the hem of her gown, but where her face should be, there is only darkness.